Equine Assisted Learning (EAL) programs utilize an experiential approach which allow participants to work on personal and group goals while learning valuable and essential life skills through their interaction with horses. The Barn has had major success with their EAL programs while working with youth in residential care, juvenile delinquents, and mentorship programs. Horses are a unique animal in that they mirror and respond to human behavior. They are non-judgmental and base their reaction to people based on the behavior of the individual in that moment. 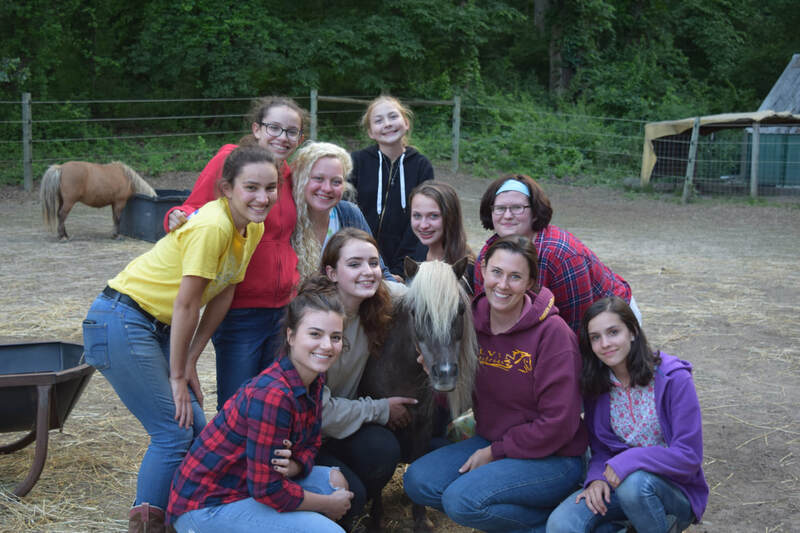 Utilizing the power of our equine partners, this program allows students at The Barn to participate in activities which strengthen self-esteem, assertiveness, problem-solving, creative thinking, and communication skills. 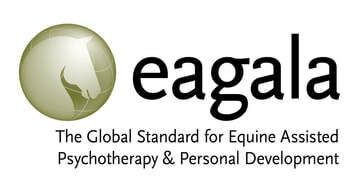 The Barn offers EAGALA model equine assisted psychotherapy (EAP). This model uses horses to bring about emotional growth and learning. Currently we offer EAP sessions to the community. Along with youth in residential care to help build the skills these students need to be successful in their next step in life. 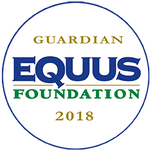 EAP is a team approach which is facilitated by a licensed mental health professional and an equine specialist to help clients meet therapeutic goals. It is engaging and interactive. Barn Time is open to the community and is an opportunity for people to come out to The Barn, free of charge, and interact with our horses. Whether you want to groom a horse, hug a horse, help with our weekly barn chores or just spend time in the presence of horses, we would love to see you out there. 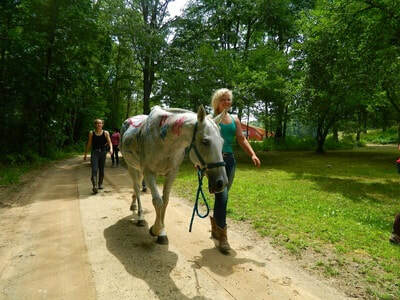 This is a great time for people who are interested in volunteering at The Barn to see what we are all about! We do ask that parents/caregivers remain at the Barn with their children throughout the program. Also, this can be a very busy time at The Barn, so if you are interested in participating in one of our programs, we recommend that you contact us via phone or email about these rather than seeking more info at one of our CBT. We look forward to seeing you there! Our Barn Youth Committee is a unique opportunity for our younger volunteers to become an integral part of The Barn through hands on growth and learning. The youth committee meets monthly and helps with everything from daily barn tasks, to organizing and hosting events, along with volunteering with many of our programs. It has been amazing to watch this group grow and flourish! The Barn has a well-developed riding program. We offer primarily English riding which focuses on horsemanship and the hunter/jumper discipline and polo. Also, we are situated on a wooded property and always love to hit the trails. The Barn has created a safe, friendly and welcoming atmosphere. We have a handful of great school horses for all ages and all levels, as well as leased horse options. We currently participant with local practice shows and The Barn intends to follow the local and state recognized horse shows. We strive to have clinicians from all different backgrounds come and share their knowledge with us! Plus we love to have fun and often schedule Barn group activities! 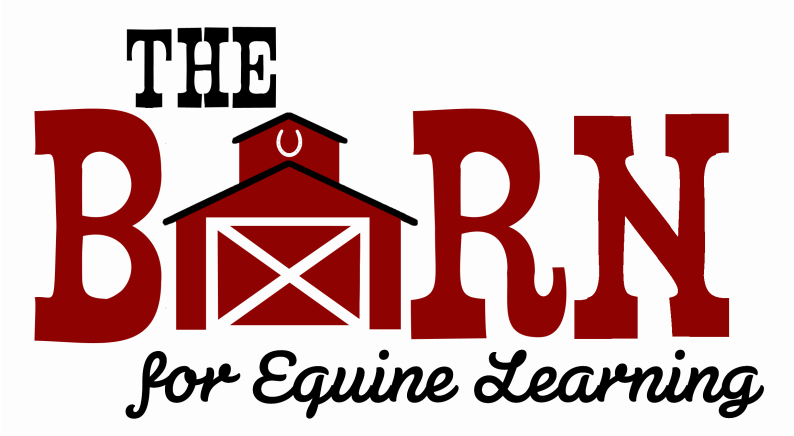 The Barn strives to be a teaching and learning facility for all. If you are looking for an internship opportunity, particularly in the social work field, please contact us to discuss possible options.